ProFab® Premium Weedmat is comprised of a heavy weight UV stabilized polypropylene monofilament and tape yarns that provide excellent physical and hydraulic properties. Profab® Premium Weedmat is ideal for weed suppression in the most extreme environments with high stability against UV degradation. 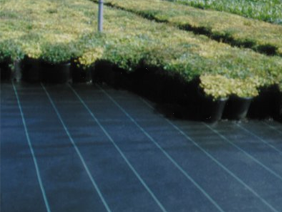 ProFab® Premium Weedmat conforms easily to the ground surface for trouble-free installation and withstands severe installation stresses with high tensile strength, puncture and burst resistance. For more information please refer to the Technical Document on the left.